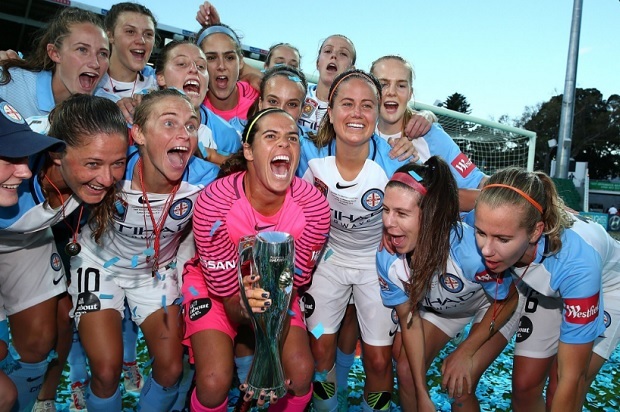 Melbourne City used goals from two of their Seattle Reign loanees to defeat host Perth Glory 2-0 on Sunday, February 12th to win the Westfield W-League Grand Final for the second time in their two years in the league. Wales international and head coach Jess Fishlock scored just before the half, slotting a ball just inside the post from near the penalty spot, and then Bev Yanez sealed the match in the 76th minute with a long range shot from the left wing that slotted in under the bar and over Glory goalkeeper Gabrille Dal Busco. Fishlock finished the year with eight goals while Yanez had two. 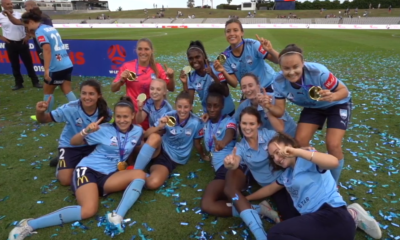 City was the first side to ever defend a W-League title and is tied with Brisbane Roar, Canberra United and Sydney FC with two Grand Final wins each (Melbourne Victory won once in 2013/14). Perth Glory drew a record Grand Final crowd to nib Stadium of 4,591, besting the previous high of 4,544 set in Brisbane during the league’s first season in 2008/09. 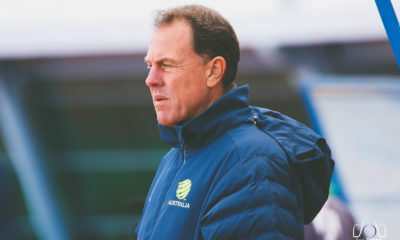 Perth lost their second Grand Final—both at home—in three seasons despite outshooting City (20-13 on shots in total and 6-3 for shots on goal) and is now tied with Sydney FC with two Grand final losses—one behind Brisbane Roar’s three (Canberra United and Melbourne Victory have each lost one title match). Melbourne City was only the second team to finish fourth in the regular season and win the Grand Final, after Sydney FC in 2012/13. 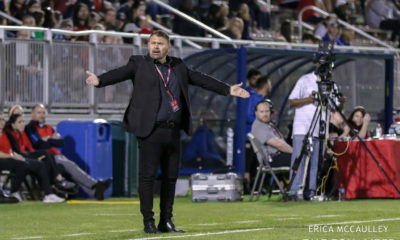 City overcame a six-game winless streak after winning four straight to open the season, but secured a playoff berth with two wins to close out the season. Perth tied for first in points in 2016/17 with 23, losing the Premiership crown on goal difference to Canberra, a substantial improvement over their 11 points and eighth place finish last season. 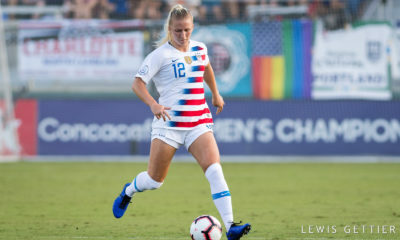 For City, NWSL loanees Lydia Williams (Houston Dash), Laura Alleway (Orlando Pride), Steph Catley (Orlando Pride), Jess Fishlock, Lauren Barnes and Bev Yanez (all Seattle Reign) and Erika Tymrak (FC Kansas City) all started the game, along with Rebekah Stott who will join the Reign this season. Yanez subbed out in the 87th minute while Tymrak went off late in injury time. Fishlock, Alleway and Aivi Luik (ex-University of Reno and FC Indiana in WPSL/W-League) each won their third Grand Final. 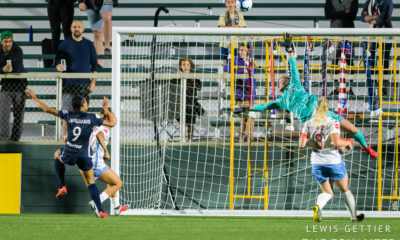 The Reign will have five members of the City champions (along with Larissa Crummer, who led the league in scoring last season but missed the playoffs with a broken foot) for the 2017 season, which should encourage head coach Laura Harvey, whose side missed the playoffs in 2016 by two points after making the NWSL Final in 2015 and 2016. 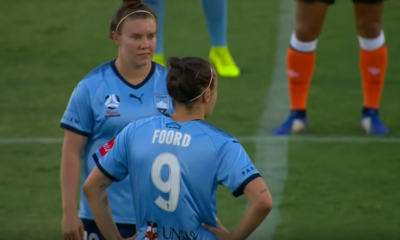 For Perth, Alyssa Mautz, Vanessa DiBernardo (both Chicago Red Stars), Samantha Kerr and Nikki Stanton (both Sky Blue FC) and Ari Romero (ex-Houston Dash) all started the match, with DiBernardo subbing out in the 83rd minute.